If you’re the owner of DERBI GPR125 or Cross City 125, Devitt are here to help you find the best insurance cover for your DERBI motorcycle or scooter. With over 80 years worth of insurance knowledge, you’re in trusted and reliable hands with Devitt. Get a quote today for your DERBI motorbike! Derbi motorcycles came to life back in 1922, and almost 100 years later the brand is still going strong manufacturing a wide range of 50cc bikes. In 2001, Derbi joined the Piaggio group where it’s only gone from strength to strength still. The company, owned by Simon Rabasa i Singla, started out with just fixing and hiring bicycles, but after 20 years Singla decided it was time to move the company up to the next level and start producing bicycles, this then lead into creating the SRS 48cc model. But, where does the name ‘Derbi’ come from? It derives from the Catalan phrase Derivats de Bicicletes, which also plays homage to the company’s history. Derbi pride themselves on the large number of racing titles they’ve won over their impressive lifespan, including winning the MotoGP 50cc championships in 1969, 1970 and 1972. They also ran in the 125cc championship with five wins overall, the last coming in 2010. all their bikes offer adventure on and off-road. Derbi are mostly known for their epic collection of off-road bikes. 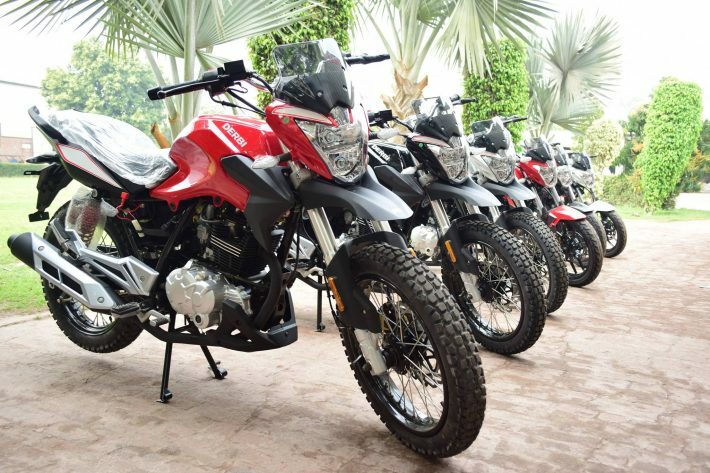 The 50cc machines make the perfect weapon for those who are new to the off-road scene especially as they are fully loaded with the latest equipment making it a dream for those learning to ride, like the brand new Senda X-Treme 50 SM. Devitt offer a wide range of cover for 50cc motorbikes, so if you’re shopping around to insure your Derbi then look no further. Our cover ranges from fully comprehensive to third party fire and theft, and third party only; depending on what level of protection you need can vary the cost of your insurance. To get started with a quote we will need to find out some basic information from you including; your name, address, occupation and riding history. This can include you no claim bonus history and any previous convictions or claims. Once we’ve got these details we can look at our panel of UK insurers to find the best policy for you. You can get a quick quote by completing our online form, or alternatively you can give one of our friendly advisors a call today on 0345 872 3614.